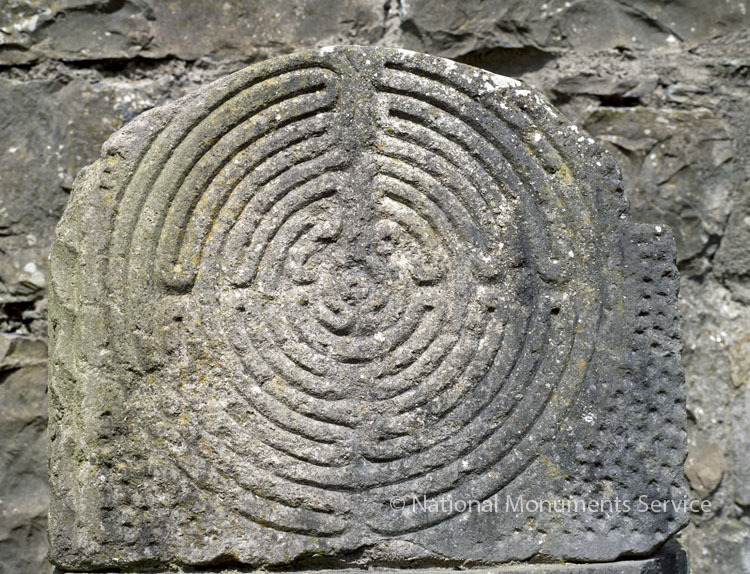 A stone which has been carved to produce a pattern, design or representation. See also Architectural fragment, Stone head, Stone sculpture - aniconic, Stone sculpture - iconic for Iron Age examples. These date from the medieval period (5th-16th centuries AD) onwards.